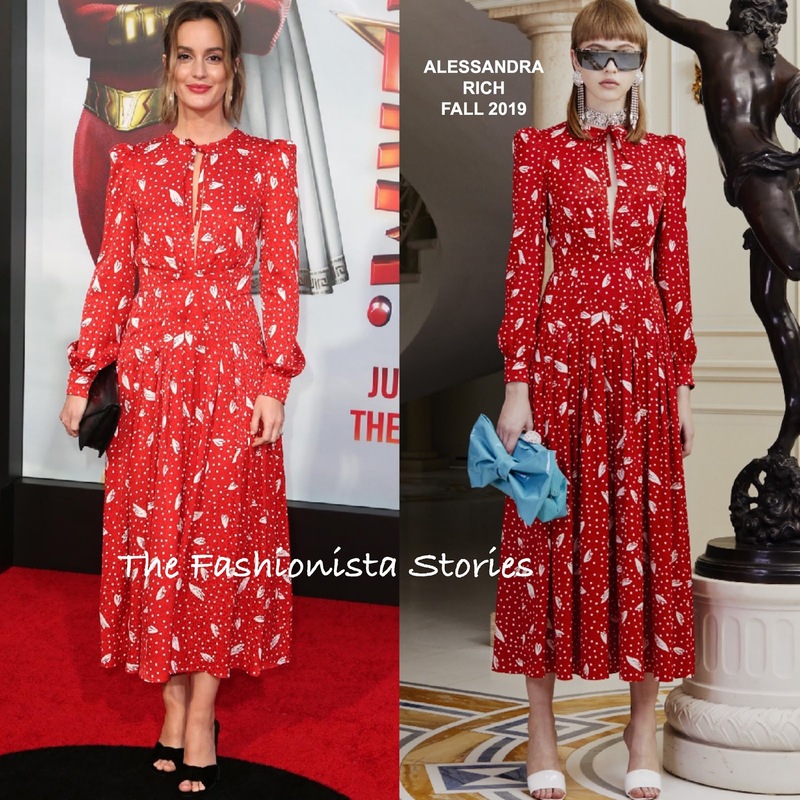 On hand to support hubby Adam Brody, Leighton Meester attended the 'Shazam' premiere yesterday evening(March 29th) at the TCL Chinese Theatre in Hollywood, California. Leighton's on trend polka dot and petal printed silk dress is from the ALEXANDRA RICH FALL 2019 collection. Her midi dress featured long, puffy cuff sleeves, a flirty key-hole & tie neckline and a pleated skirt. On the accessories end, Leighton played it safe with a black HUNTING SEASON clutch and black GIUSEPPE ZANOTTI mule sandals. However I prefer the look book chic styling with the turquoise clutch and white mule sandals. Do you prefer the look book's styling as well or does Leighton's styling work for you?